The Apple Watch is possibly the most important product of the year, as it is the world's largest and most important tech company entering an entirely new product category. It is also the first new product category introduced under Tim Cook. Since apple is not providing sales numbers, pundits are having to come up with some other metric for measuring success. But I have always been confused buy the metric. What does it mean to use a watch. In the 30+ years I wore a watch, I never once thought in terms of using a watch. How do you use a watch? You put it on and glance at the time when the mood strikes you. If it was a fancy watch, and if you could figure out how to set it, you might also check the day's date. At the end of the day, you take it off ad set it on your night stand. The next morning after your shower, you rinse and repeat. In other words, you don't use a watch. You wear a watch if you find yourself using, or trying to use a watch, you're doing it wrong. So when did we start thinking about watches as products to be used? Two things influence this change. The first is the smart watch, and increased functionality. It goes without saying that a smart watch has more functionality than a traditional watch. This is true in the same way that a digital watch has more functionality than an analog watch. Yet we don't think about digital watches as devices that we use. There seems to be a certain percentage of a product's features that, if unused, the product is considered unused. I don't know what that number is. Nor does anyone else. If a product has 3 features, and you use two of them, you are using the product. But if it has 100 features, and you only use 30 of them, maybe you are not using the product. It doesn't matter that you are using more than 10 times the features of a simpler product. We seem to consider the unused features a liability against overall usage. The second factor for measuring usage is the iPhone. This is a whole new category of usage. I can't think of any piece of tech that we used prior to the iPhone anywhere near the degree that we use the iPhone. Possibly the iPod or portable radios were as heavily used. But not as obsessively, if that makes any sense. We are glued to our smartphones in a way that we have not been glued to anything else. An exhaustive list can't fit into one article. And that list of twelve does not even include communications, mapping, and the Internet in your pocket, and all that entails. We use a smartphone a hundred times a day by accident, and without noticing. There has never been anything quite like it. And I don't think we will see anything replace it in our lifetime. 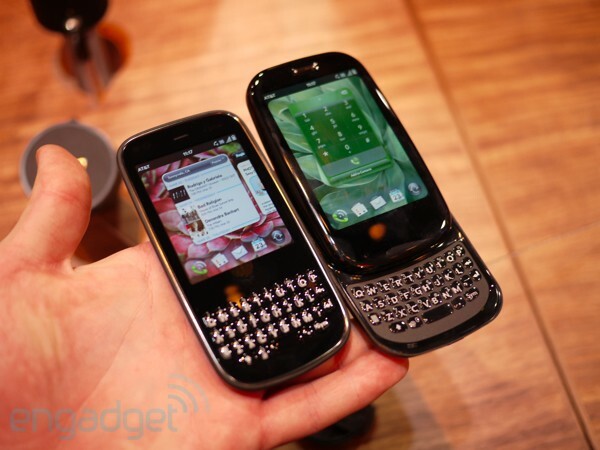 For one thing, we have tested the limits of miniaturization with the Palm Pixi. Smartphones don't get better by shrinking them below a certain size. That means putting them into tiny form factors and calling them something else simply doesn't make a lot of sense. Making them more powerful has diminishing returns. But in any event, they would still be smartphones. Make them larger than a certain size and they actually get less useful due to their lack of portability and ease of casual use. Like the television or automobile, the smartphone is going to improve. But it will still be with us for a very long time. Some people use iPads like other people use iPhones. They are outliers. What no one seems to know is exactly how much, and for what purpose an iPad should be used. They just know that it is not a smartphone or laptop. I have personally suffered from iPad low usage guilt (iPlug). Before the iPad Pro, my iPad could sit for days at a time without me as much as thinking about it. I felt guilty for having such an expensive luxury that was getting so little attention from me. I have never been able to justify having both an iPad and a notebook. One of the two would always be neglected. At various times, I would go all in on the iPad, and sell my notebook. At other times, I would go all in on the notebook, and sell my iPad. I can't stand the guilt of having one just sit around collecting dust. iPlug. But it strikes me that some devices are intended to sit around doing nothing for extended periods of time until needed. Kitchen appliances fall into this category. You will not use a deep fryer as much as you use a microwave or a blender. Is it possible that there are other technologies that also follow that pattern of use? I think so. It is among all things possible that the iPad is perfectly happy being used only on occasions when it is needed for something specific. I don't use my portable speaker everyday. But I wouldn't want to be without one. I don't play my piano very often these days. But I wouldn't dream of getting rid of it. Perhaps iPlug has caused us to discount the value of our iPads due to a bad usage metric. The iPad Pro has eliminated iPlug for me. It is a satisfactory fusion between MacBook and iPad. I sold my MacBook, and don't miss it. Sometimes, I use my iPad pro as laptop, sometimes as tablet. But it seldom goes a full 24 hrs. without being used. There are plenty of days when it gets more use than my desktop. As for pure screen time, it gets more use than my iPhone on most days. The iPad represents different things for different people. For some, it is a portable TV. For others, a kitchen computer. For still others, a second-screen for the living room. Some will use it exclusively for playing casual games. Others use it like a hard-cover book. I could go on all day naming general purpose and single purpose uses for the iPad. The point is that there is no one right use for the iPad. That is why no one can say how often it should be used. My iPlug is another person's heavy usage scenario. So what's the answer? What does it mean to use technology? How do we determine if the tech in our lives is getting the usage it deserves? Stay tuned.. There will be a part 2 when I actually come up with some answers. Not to worry. I've got a few ideas. So it shouldn't be long.